Dubbed the ‘Windsor of the North,’ Alnwick Castle is the second largest inhabited castle in the country and has been home to the Duke of Northumberland’s family, the Percys, for over 700 years. 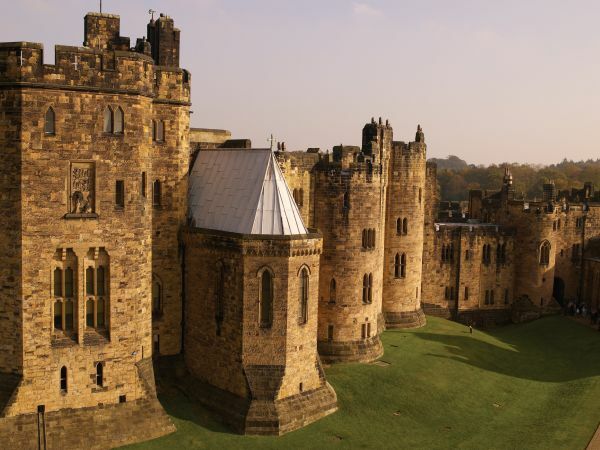 Combining magnificent medieval architecture with sumptuous Italianate State Rooms, Alnwick Castle is one of the UK’s most significant heritage destinations and best days out in Northumberland. The Castle’s rich history is brimming with drama, intrigue and extraordinary people; from a gunpowder plotter and visionary collectors, to decadent hosts and medieval England’s most celebrated knight: Harry Hotspur. 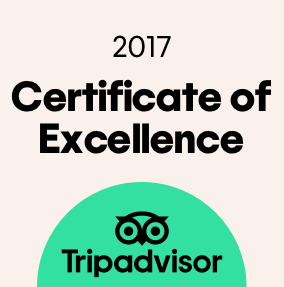 In recent years it has also taken starring roles in a number of film and television productions, featuring as the magnificent Brancaster Castle in Downton Abbey and previously appearing as Hogwarts School of Witchcraft and Wizardry in the Harry Potter films. 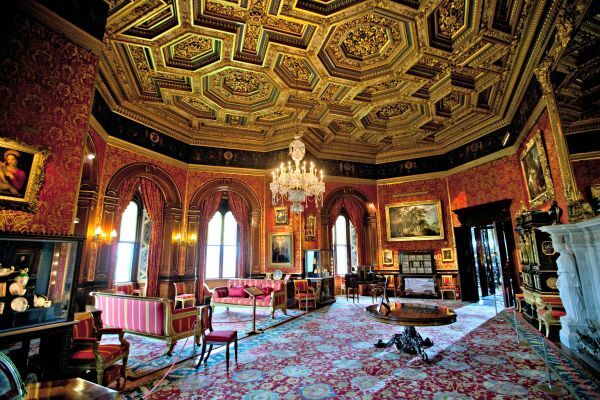 The lavish Italian Renaissance style interiors of the State Rooms are contained like a jewel within Alnwick Castle’s magnificent fortified exterior. 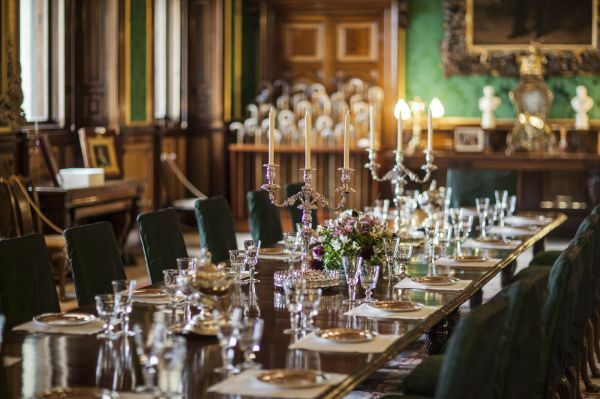 Originally remodelled as a family home by the 1st Duke and Duchess of Northumberland, and beautifully restored in the 19th Century, these luxurious interiors are a vision to behold. The State Rooms are filled with one of the country’s finest private art and furniture collections, including work by Canaletto, Titian, Van Dyck, Turner, and Dobson; an extensive gallery of Meissen, Chelsea, and Paris porcelain; and the priceless Cucci cabinets, originally created for Louis XIV of France at the Palace of Versailles. From the windows of each room, the castle's grounds can be admired, and beyond them, the landscape created by Lancelot 'Capability' Brown. Take a free tour with our knowledgeable guides and transport yourself into Alnwick Castle’s tumultuous Norman past and remarkable family history. 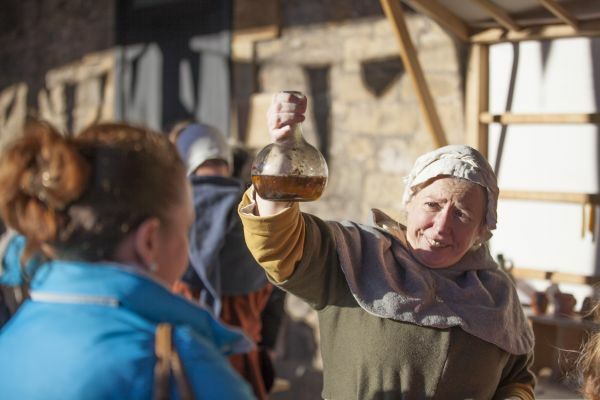 These educational and engaging guided tours reference the Castle's long history, origins, uses and restorations, and include stories of the fascinating people whose presence has graced Alnwick Castle over the past 900 years. 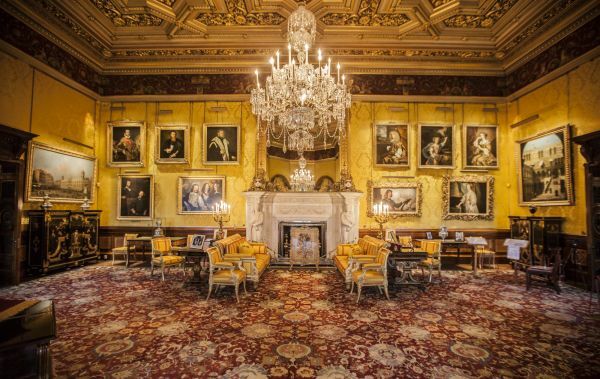 Discover more about the castle's exquisite State Rooms and its priceless antiquities, as well as anecdotes from the castle's recent use as a filming location for Hollywood blockbusters. Join one of our guides for a snapshot 10-Minute Talk, exploring one of the castle's many stories. If you would like to learn more about a particular item, character, or period of Alnwick Castle's history during your visit, learn about something new, or simply don't have time for a full guided tour, then 10-Minute Talks are for you! With new subjects every day, there's always more to discover. 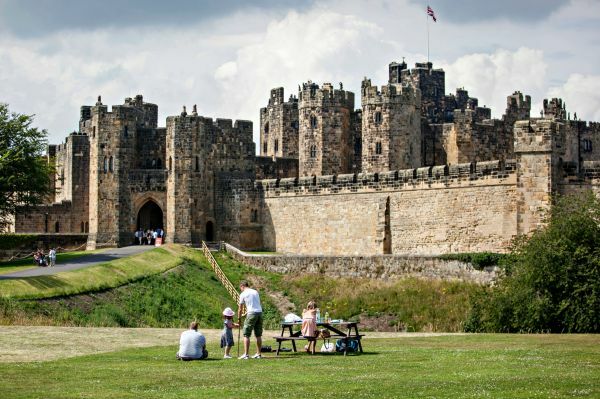 Discover the stories of bravery and loss experienced by the Northumberland Fusiliers, learn about the fascinating archaeological artefacts in the Castle Museum and delve into the stories of the volunteers who were prepared to defend England’s shores against the French at the opening of the 19th century. To commemorate the centenary year of WWI, the newly refurbished Constable's Tower shall re-open to the public in June 2018. Displaying thought provoking objects and recollecting harrowing stories, this exhibition is a homage to those whom sacrificed their life for Europe's freedom. At the castle there is so much to entertain adults and children alike, making a family day out full of fun and history. Entertainment from fire-eating jesters, courageous knights, master falconers, and medieval artisans (and even the occasional dragon!) takes place throughout the castle's open season. All performances and activities are free with admission. 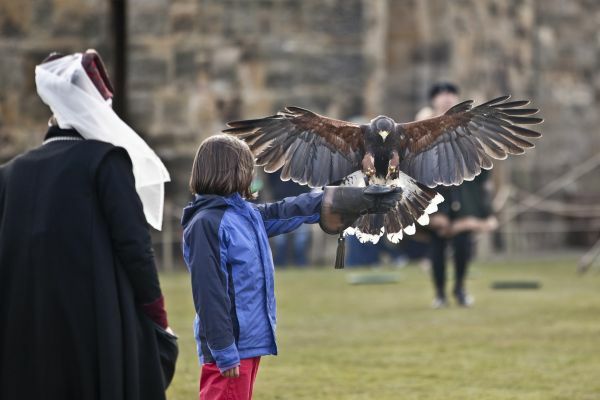 View Alnwick Castle's full events calendar. 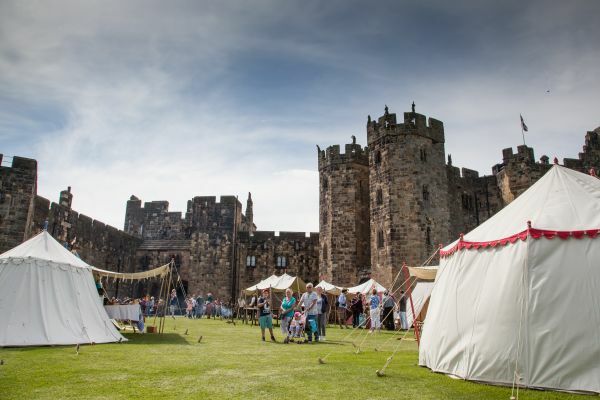 Aspiring knights and princesses can follow in the footsteps of Harry Hotspur, as they dress up in medieval finery and try their hand at free traditional crafts, swordplay and medieval games in the bustling Artisan's Courtyard arena. 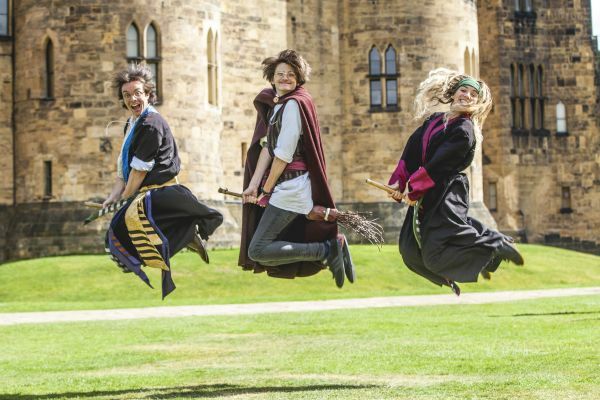 Potter fans young and old can take part in Alnwick's infamous broomstick training sessions, led by entertaining wizard professors. For more information and to save 10% by buying tickets online, please visit www.alnwickcastle.com. Alnwick Castle is a large visitor attraction, comprising a range of historical buildings and sweeping grounds, including an Inner and Outer Bailey and ‘Capability’ Brown landscapes. Unfortunately, due to the historic nature of the castle and its grounds, disabled access is limited in some areas. The grounds of the castle include a variety of surfaces, including cobblestones, flagstones, grass, gravel and wood. These can be uneven and steep in places, with a number of steps on the Gun Terrace. For further information regarding accessibility, please click here. Alnwick Castle is less than a mile off the A1 and is well signposted. The main castle car park is just off Denwick Lane (B1340); the postcode for the car park is NE66 1YU (parking charge is £3 per vehicle for the day). The East Coast mainline from London to Edinburgh stops at Alnmouth station, which is four miles from Alnwick. A taxi or bus (X18) can be taken from Alnmouth station (a journey of approximately 10 minutes). There are bus stops and a bus station in the centre of Alnwick, with buses connecting Alnwick to the surrounding towns as well as the city of Newcastle (the X15 and X18 buses both run from Haymarket bus station). It is approximately a five minute walk to the castle from the bus station. Save 10% by buying online. 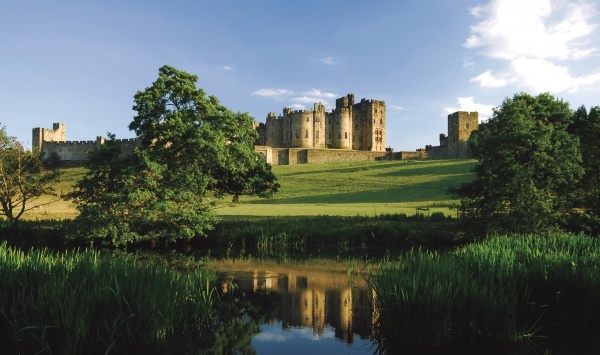 Alnwick Castle grounds and museums are open from 10.00am-5.30pm (last admission 4.15pm). State Rooms are open 10.30am-4.30pm (Chapel closes at 3.00pm, last admission 4.00pm). We bought a joint ticket for the castle and gardens. While the gardens were stunning and the poison garden fascinating, the castle was pretty dull unless you get excited by china plates and bookshelves. It is very much a case of wander around and don’t touch anything. Very little information either. We much preferred our trip to Dunstanbrough. A rare chance to look round an ancient castle that is still a family home. There's a lot to see here and the staff are very helpful. They let you get the most from your visit. There is a lot of Harry Potter nonsense going on, but inside the castle it is a wonderful stately home full of treasures and oil paintings. There is also parking in a municipal car park. 3 hours free. Can't see the castle unless you pay. You cant get near the castle unless you pay to see the castle and additionally the gardens. When we went, there were thousands of daffodils blooming in the gardens surrounding the castle. Through the gate we could glimpse what was probably an absolutely stunning display. But the gardens were closed so all we got was a glimpse. Had the gardens been open, we still would have had to pay to get beyond the gate. Its clearly all about making money, and not just some money, all the money they can get their hands on. Its so disheartening. However, if you drive just out of town there is a bridge where you can see the castle from a long distance. Entry price seemed a bit steep, but considering we had been looking forward to seeing the castle for a while, we decided to go ahead. We were staying at a local holiday park who advised that showing our key fob would give us 20% discount. I was advised at the ticket booth that this was not valid on family tickets though and then gift aid was added without being asked - just over £70 was paid to get in. It was 10am and quite busy already. In order to take part in the activities, there was a mad dash over to the furthest part of the castle, to get tickets for time slots. We chose the ‘Broomstick Training’ and ‘Dragon’s Quest’. We had a bit of time to explore before our first session at 11.30. We chose Archery first. Despite the boards saying this activity was available from 10.30, and we were there at 10.40, we were turned away. Apparently, they would be another 20 mins setting up. We went back later when there was a queue, but left before having a turn as we had been there 30 mins without it moving much at all. We chose to join in with a historical tour next, but left after 10 minutes because we couldn’t hear what was going on. The guide had no microphone or aid, there were about 30 people around her and it was quite breezy. We went on to the State Rooms. These were quite nice and probably the best bit of the castle. There aren’t many rooms to explore though and with many organised tour groups, not much space to stand for more than a couple of seconds. For the size of the castle, a lot seemed closed off. 11.30am was our Broomstick Training session. The children didn’t enjoy this as much as they were hoping to. The session was half way through before they were given their sticks and there was limited time for ‘flying’. We finished off what was left to see of the Castle to fill in the time before Dragon Quest. Our time slot for this was 1.30pm. At 1.35, there was still no-one there to take our tickets and a large queue had formed. When we were finally allowed in, it’s only 15 people at a time. Thank goodness we were first in because it really wasn’t worth the wait. Even my 8 and 10 year olds thought it was a joke that it had finished so quickly! We left the castle and went on to the gardens, which were nicer to walk around. The blossom trees were the best bit of the whole day! On the way out we asked about validating our tickets to make them valid for a year. No one was able to do this, we were told we would need to call. We were quite glad to leave. It felt that we had either been forced to rush (to get the session tickets/around the state rooms) or forced to wait. It had not been the relaxing day we hoped for.